As Landscape Architects we strive to integrate the hardscape, landscape and site to provide cohesive design statements and complete environments for public and private spaces. We take pride in our proven ability to follow through and execute the big idea concepts developed during the planning process into amenities, design elements and spaces that are consistent with the region, provides an authentic richness of detailing and a high level of sustainable design strategies. We take pride in our ability to execute the big idea concepts into amenities and other design elements that are authentic and consistent with the region and site by establishing a community identity that is translated through the use of the landscape and hardscape design. In today’s ultra competitive housing market, successful communities must have an ability to separate themselves from the competition and create a lasting impression. The use of authentic, regional and sustainable materials help in establishing your community as a special place that draws potential buyers and creates a great place to live. The level of amenities provided is essential, based on location, price points and market competition. 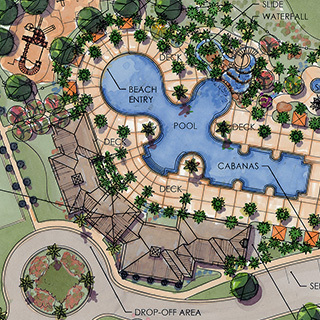 We have developed community design plans for projects throughout Florida and have first hand experiences in many local markets enabling us to provide insightful design solutions that will exceed expectations. The artful creation of commercial landscape and hardscape designs provide many benefits to the built environment. With the creation of pleasant outdoor settings the building occupants are provided a refuge to escape outdoors and provide an integrated setting for the proposed buildings. By providing low maintenance, sustainable spaces that embrace the site and provide a connection with the build environment the outdoor spaces create areas for occupants that contribute to each occupant’s quality of life and may increase productivity, health and other intangible benefits. The creation of office, retail and school environments that embrace outdoor spaces is essential in creating unique areas that enhance the overall experience. Specialty retail and restaurant projects demand a high attention to detail that reinforces the architectural character and style of the proposed structures to provide a unified and pleasing experience. The art and craft of landscape architecture is displayed in it’s essence within the design of single family residential spaces. The level of detail and scale of the spaces is very important in the selection of materials and enhancing the outdoor living environment. We attempt to integrate the indoor living spaces in the landscape and hardscape planning. 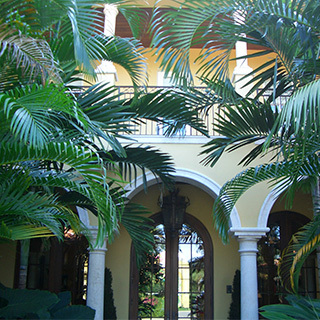 By utilizing a strong understanding of residential architecture and design, we successfully integrate the indoor and outdoor spaces together to create expansive outdoor rooms and intimate private plazas that enhance the architectural design of a home and takes advantage of the available area within the homesite to maximize value and enhance the overall livability of the home. We believe in the use of appropriate landscape and hardscape materials to compliment the homes style and work with leading architects and residential designers to provide a seamless design presentation. As Planners we strive to develop lasting relationships with our clients and work as part of their teams developing creative community plans that address market conditions. We take great pride in our ability to listen to our client’s goals and objectives and to the land’s unique physical, cultural and social histories in developing truly distinctive communities that exceed expectations. Our experiences in designing golf courses and routings, traditional neighborhoods and residential communities at all scales provides a unique perspective and skill set that we draw upon for each client and planning exercise while continuing to pursue sustainable design solutions. The creative planning of any community is essential in maximizing the available site features through a strong understanding of the opportunities and constraints that are unique to each site and community plan. We strive to gain a thorough understanding of the site, local zoning regulations, and local market to develop community master plans that deliver a unique sense of place and identity that attracts residents and provides the lifestyle that they desire. We prefer to take an organic approach to planning that incorporates existing site features or through the creation of unique public open spaces and amenities. 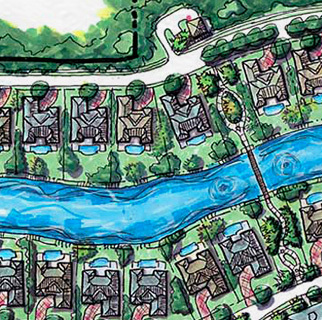 This approach creates the opportunity to achieve the desired densities and utilize the natural environmental features as amenities by incorporating into the community plan. The creation of a TND community requires a great deal of skill, creativity and understanding of the principles of New Urbanism. We approach the design of TND communities by studying the elements that create pedestrian friendly human scale villages that begin to form the fabric of community. The design of the public realm and streetscapes plays a critical role from the beginning of the design process in order to begin establishing a hierarchy of vehicular and pedestrian circulation and public spaces. A great deal of attention is paid to establishing villages that function from a resident’s perspective but also integrates multiple housing types to establish a diverse community. The villages each require a sense of place and a center to provide a unique identity within a larger community. These villages along with community parks, cultural and social destinations, and mixed use centers are patched together to create neighborhoods and communities that embrace the human scale experience that is in much demand. The conceptual site planning process is often the ribbon that carries the master planning strategies into the more detailed spaces of a community. As planners and landscape architects we relish this task as it is often the first step of the more detailed design process that integrates the site with the proposed architecture and hardscape elements. In many communities and especially in Traditional Neighborhood Developments the process of community building is dependent on strong Pattern Books, Design Codes, and implementation in order to ensure the overall vision is achieved while maintaining the common public realm. We have participated in the creation of several community pattern books and design guidelines for New Urbanist communities in Florida and The Bahamas and serve on Architectural Review Boards to provide design review and assistance in the governance of the codes and guidelines.